Explore your world while developing off-road skills to tackle any terrain with one-to-one coaching from an expert instructor at your side. Whether this will be your first time driving off-road or are a seasoned pro, you'll quickly build confidence while you refine your techniques. The science behind vehicle dynamics is universal, so a technique then technology driving style ensures the techniques learned will be of benefit no matter the vehicle you drive. The better the technique, the more performance you can draw from the technology. With more than 60+ years of real world experience and lessons learned, Land Rover Experience has something for everyone! RawHyde Adventures is a company with only one goal—and that is to provide exceptional experiences to motorcyclists that are interested in exploring the world off-the-beaten-path! RawHyde is the market leader in adventure rider training and only independently operated BMW authorized motorcycle training center in the United States. In business for more than 15 years, RawHyde has become one of the most recognized brands in the motorcycle industry. With facilities in California, Nevada, and Colorado, RawHyde not only offers training programs for adventure riders, but they also conduct many special events annually as well as motorcycle tours globally. RawHyde has been supporting Overland Expo as the anchor of motorcycle village since 2011. 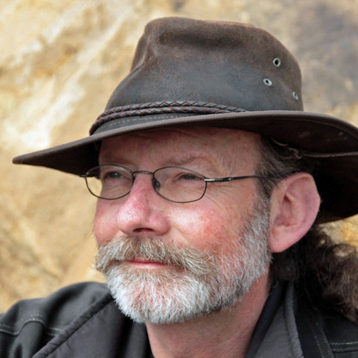 Graham Jackson – Global overlander, guide and trainer. Nick Taylor – North African and Middle Eastern overlanding expert. The Camel Trophy began in 1980 and ran until 2000 and was called "the Olympics of 4×4". Two person teams were selected from participating countries to compete to win what was an event about adventure and exploration. The competitive element came in a series of "Special Tasks," such as winching and timed driving routes, in which the national teams competed against each other. The remainder of the event involved a transit over some of the toughest and most remote terrain in the world. From Brazil to Zaire, events became renowned for being a test of man and machine against some of the most harsh conditions that could be found. Participants and organizers came out having joined a new 'family' and many are eager to pass on their knowledge to others. At Overland Expo we are lucky enough to have many former team members and organizers from the Camel Trophy ready to show you how they did what they did. With more than 110 years of heritage, BFGoodrich® Tires is dedicated to providing high performance tires for those who have a passion for driving in virtually any environment. Combining technical expertise with 45 years of motorsports experience, BFGoodrich Tires delivers tires for a full range of driving experiences from ultra-high performance street to off-road terrain with one common theme – extreme performance. Jeremy Kroeker, OscillatorPress.com —motorcycle adventurer, author of Motorcycle Therapy, Through Dust and Darkness, and his latest release, a collection of short stories, Motorcycle Messengers. to find the latest in travel stories and adventure tales. And new for this year, introducing Overland Film Festival Shorts, a hour appetizer of short overland films, hosted by Alain Despatie.